Chris Burkhart shown competing at last year's SPIRE Showcase. Hilliard Darby senior, and Michigan State Spartans commit, Chris Burkhart is on the accepted entries list for Saturday's Jerome Fields Open. 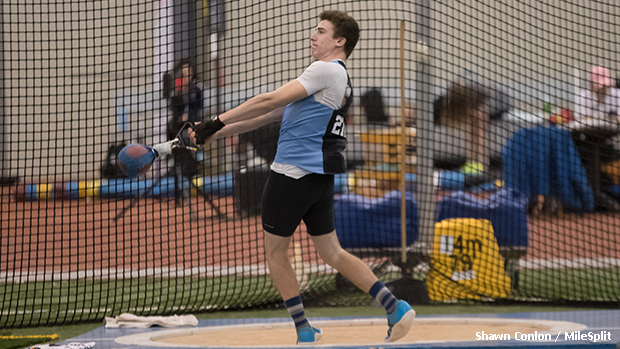 The #2 ranked weight thrower in Ohio will contest the weight throw and shot put events. He'll bring season's best throws of 68-4 and 46-0.25 with him to Akron. See below a breakdown of this weekend's upcoming meets.